The acquisition adds 32 years of enterprise content management, business process automation and Hyland OnBase experience to the ISSI professional services team. Memphis, TN, January 08, 2019 --(PR.com)-- Imaging Solutions & Services, Inc. (ISSI), a leading provider of enterprise content management (ECM) and business process automation (BPA), and a Hyland reseller since 2005 having earned the coveted OnBase Diamond Support Award for two consecutive years, has acquired ISC Financial Systems of Williston, Florida. Founded in 1996, ISC is a leading provider of BPA solutions for banks and credit unions throughout Florida and the Southeast. 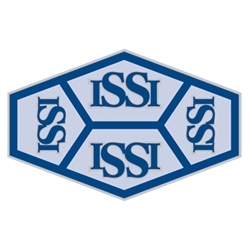 Founding owner and ISC President David Reckseit has joined the ISSI executive team as part of the acquisition. Reckseit’s extensive experience implementing Hyland OnBase document management software and integrating it with a variety of financial services core systems adds significant strength to the ISSI professional services team.